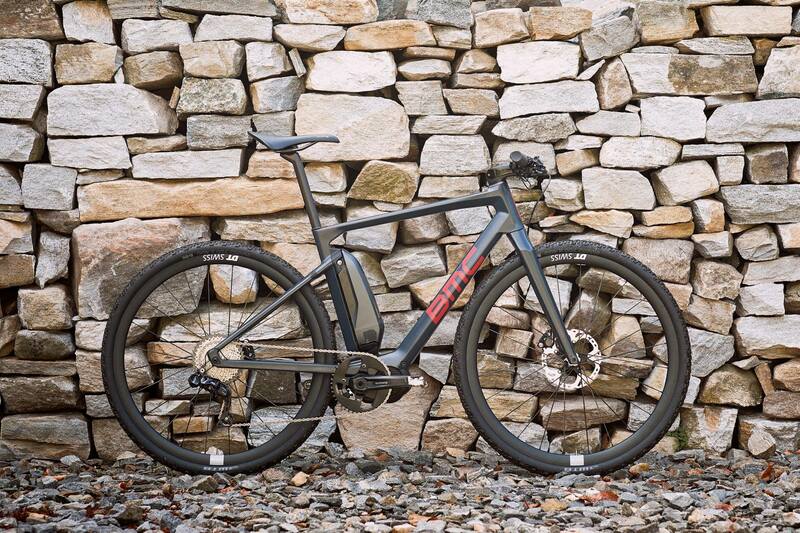 BMC has joined the ever-growing number of companies who’ve been keen to throw their hats into the electric-assisted road bike ring, with the launch of its new Alpenchallenge AMP Sport Cross range. 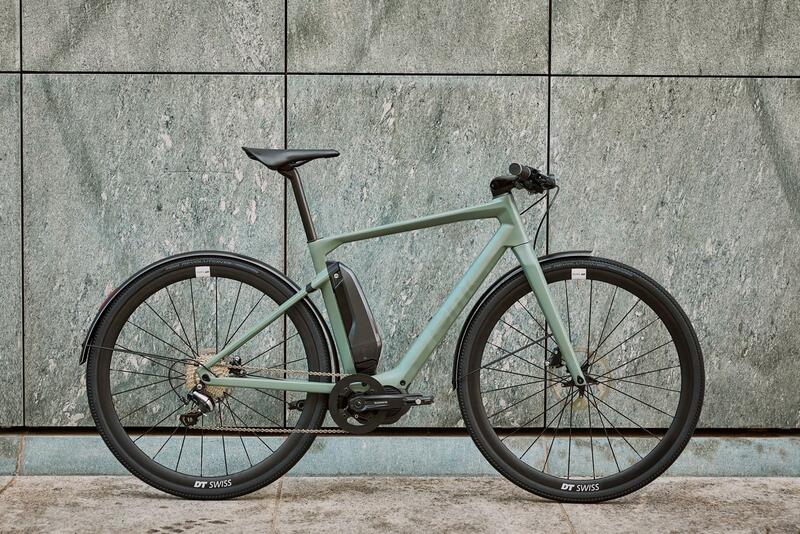 Featuring a relaxed, hybrid style lay-out, BMC’s composite know-how gave them the ability to design a uniquely shaped frame, allowing the Swiss company to create an almost seamless integration between the Shimano STEPS electric drivetrain system and the bike’s main triangle. Moreover, according to BMC, by locating the battery along the seattube, this decision not only led to a more aesthetically pleasing design, but it also resulted in better overall weight distribution and balance. The Alpenchallenge AMP Sport range also features BMC’s micro travel technology suspension system (MTT), which entails an internal damper system that’s sandwiched at the top of the seatstays similar to the step-up that was first seen on the company’s Teamelite MTB hardtail models, providing 10mm of elastomer-based bump absorption which can be “tuned” by using XCell dampers of varying densities. At the center of the range-topping Alpenchallenge AMP Sport Cross LTD’s 1X drivetrain, is Shimano’s Steps E-8000 250W motor that’s capable of putting out 70Nm, while the Alpenchallenge Cross ONE comes with the company’s Steps E-6100 250W which can generate 60Nm of output, while the Steps BT-E8010 504Wh battery is common to both models, along with the same handlebar mounted display and control unit. 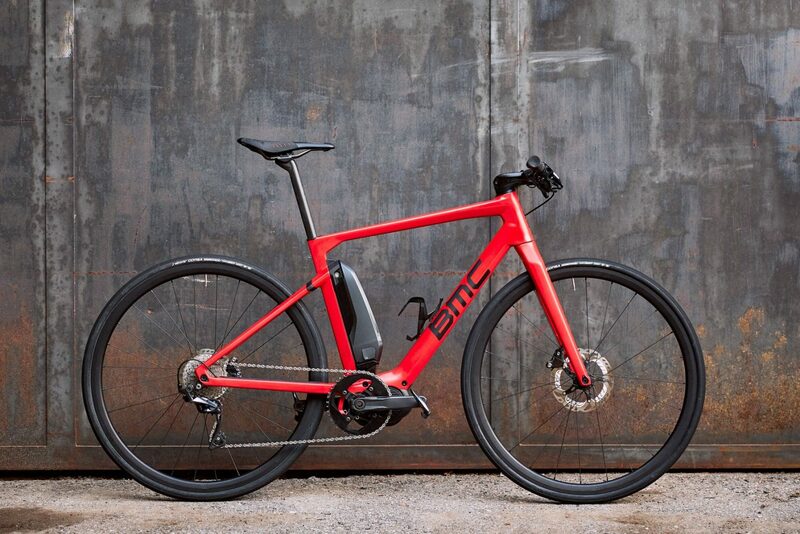 In the end, BMC says both models yield an impressive weight of around 14 to 15kg, while accomplishing almost twice the power-to-weight ratio as the competition. As far as “builds” and components are concerned, the models come equipped with an almost dizzying array of options ranging from both electronic and mechanical versions of Shimano’s Ultegra groupset, to some of the Japanese brand’s MTB drivetrains as well, along with hydraulic disc brakes, different cranksets, wheels, mudguards and cockpit bits and pieces galore. According to BMC, all versions of the Alpenchallenge AMP Sport Cross LTD sell for $5,999.00, while all versions of its Alpenchallenge AMP Sport Cross ONE sibling fetch $3,999.00. You can learn more about the complete range of Alpenchallenge AMP Sport bikes by visiting BMC website here.